Loneliness is a problem for hundreds of people who receive social care on the Isle of Wight, according to official figures. The figure has improved compared to seven years ago, but could rise again once Local Area Coordinators are scrapped next year. In an NHS survey of people using social care, 48% said they had not had as much contact as they wanted with people they like in 2017-18, but it is down from 59% seven years ago, the earliest period with available data. Charities fighting against loneliness and for elderly people’s rights called on the Government to increase the funding for social care workers and community services. On the Isle of Wight, there were 415 social care users surveyed last year, of which 201 felt lonely, according to Public Health England estimates. Many receiving social care are elderly people, while there are also some younger adults with disabilities. The survey questioned those over 18 receiving long-term support funded or managed by social services. The percentage who wanted more contact on the Isle of Wight was below the average for England, where the proportion was 54%. Nationally, more elderly people in the survey were affected by loneliness – 57% of those over 75 compared with 41% of the young adults between 25 and 34 years. On average, 55% of women wanted more company, compared with 52% of men. Laura Alcock-Ferguson, executive director of the charity Campaign to End Loneliness, said that loneliness troubles will rise in the coming years and urged coordinated action to tackle them. “Loneliness can have a devastating impact on physical and mental health, comparable to obesity, smoking and depression. “We want to see the Government invest in social care to empower those on the frontline to build connections with social care users and have the time to tackle loneliness. An extra few minutes per person to have a chat could make a big difference. “Paid carers are under huge time pressure and often don’t have time for the niceties. This is very sad for older people who use care, many of whom are living alone and find it hard to get out and meet people. “Moreover, many older people receiving care tell us there is no continuity in the paid carers who come to help them and this also reduces the chances of building a proper relationship. This situation is also pretty soul-destroying for the paid carers, reducing their job satisfaction and making it less likely they will want to stay. The Government has recognised loneliness as one of the main challenges faced by British society. GPs in England will be able to refer patients experiencing loneliness to community activities and voluntary services by 2023. 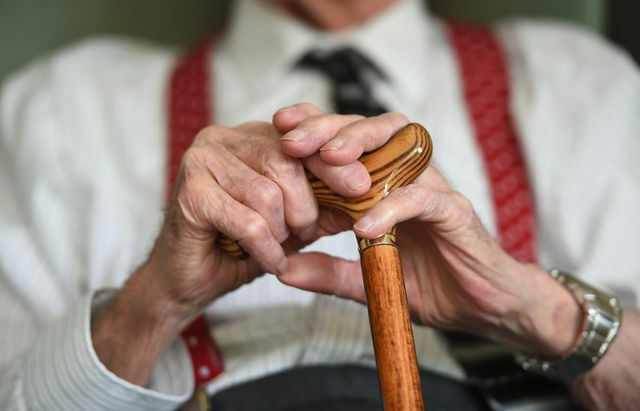 Three quarters of GPs surveyed by the Government have said they are seeing between one and five people a day suffering with loneliness, which is linked to a range of damaging health impacts, like heart disease, strokes and Alzheimer’s disease. Official estimates point out that around 200,000 older people have not had a conversation with a friend or relative in more than a month. Last year, the Jo Cox Loneliness Commission (named in memory of the murdered Labour MP) said that loneliness affects 9 million people in the UK, and being lonely is as bad for the average person’s health as smoking fifteen cigarettes a day.